Buying used is an excellent way to save money on your next vehicle purchase. However, there are several additional factors to remember while searching for the right vehicle, particularly when it comes to a car’s history and reliability. At Cumberland Chrysler Dodge Jeep Ram FIAT, we want you to know what to look for while shopping for a used car, so read below to learn more. Before you begin searching for a used car, determine what type of vehicle you need. By knowing what type of vehicle to look for, you will have a more specific list of items to inspect. When researching the vehicle you’ve settled on, try to find out any common problems that models you are considering might have. Always check the condition of the car’s body. Note any scratches, dents or rust as you walk around the vehicle. Inspect the body panels as well. Everything should be even, and the doors, hood and trunk should be able to open and close easily. As you walk around the vehicle, don’t forget to check the tires. Each tire should be the same brand as the others and in solid condition (no cracks, bulges, scuffing or poor tread). Last of all, always check the lights. Each one should work properly and be free of any cracks and damages and show no signs of moisture. When inspecting the interior, one of the first things to check for is odor. If you smell mold, must or mildew, this could indicate a water leak or flood damage. In addition, be sure to check the seats for any signs of wear and tear in the upholstery. Make sure that the seats work properly and that the driver’s seat can be set to a comfortable position for you. Also, test the controls and instruments to see if they are working properly. Finally, inspect the roof for signs of staining or water leaking through a sunroof or window. When checking under the hood, look at the belts, hoses, fluids, oil and transmission fluid. Everything should be at its proper level, and should be free of any cracks, leaks or water. Don’t forget to look underneath the vehicle to see if there is any leaking. The test-drive is one of the most essential parts of your inspection. When you turn the keys in the ignition, pay attention to how long it takes the car to start and if you notice any odd noises. Take the vehicle on a variety of different roads so that you can test it at various speeds, and make sure the transmission shifts smoothly and the brakes perform well without pulling the vehicle to either side. Before you make the purchase final, be sure to get the vehicle identification number (VIN) and run a Vehicle History Report. Most dealers will provide a report on all of their used vehicles. In addition, have a trusted repair shop fully inspect the vehicle before you purchase it. 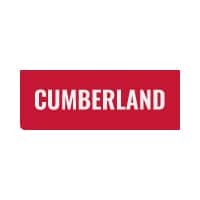 For any questions about what to do before buying a used car or if you would like to test-drive any used cars, please feel free to contact us or stop by Cumberland Chrysler Dodge Jeep Ram FIAT at 1550 Interstate Dr, Cookeville, TN 38501. We look forward to serving our customers from Crossville & Sparta.